PITTSBURGH (Reuters) - The man accused of a Pittsburgh synagogue shooting rampage that killed 11 people during Sabbath prayers was due to be arraigned in federal court on Monday, charged with dozens of offenses including murder and hate crimes. Robert Bowers, who had frequently posted anti-Semitic slurs and conspiracy theories online, is accused of bursting into the Tree of Life synagogue on Oct. 27 armed with three handguns and a semi-automatic rifle, then firing on congregants as he shouted "All Jews must die." 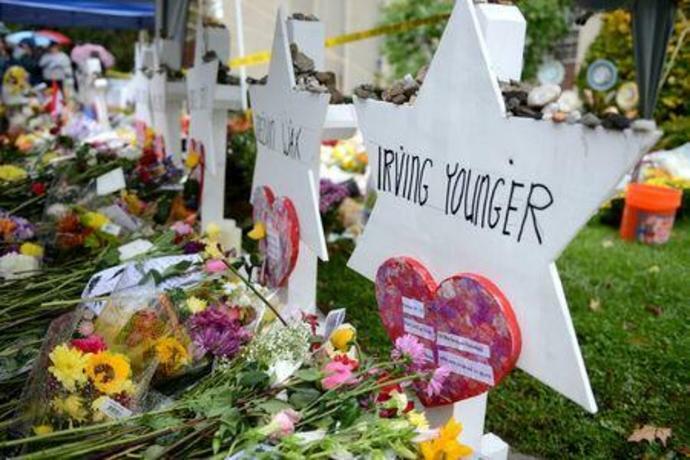 The shooting in the heart of the city's heavily Jewish Squirrel Hill neighborhood marked the deadliest anti-Semitic attack in U.S. history.